If you are searching for Shellac in Woodbury, Credo Salon Spa should always be your first choice. Our salon is known in the region as the number one provider of Shellac in Woodbury MN, and we aim to prove it to each and every new client who walks through our doors. 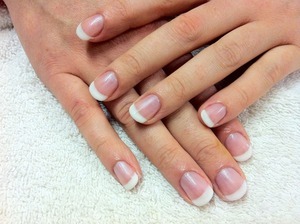 At Credo Salon Spa, we provide daily manicures using Shellac nails. There are many reasons why women flock to our spa to get their Shellac in Woodbury. Perhaps the most significant reason is that shellac manicures leave our clients sporting long, healthy nails which look fabulous, and last far longer than the results of comparable manicures. This entry was posted in Nails Woodbury, Shellac Nails Woodbury, Spa Services and tagged Beauty, Health, Nails on October 21, 2013 by Credo Salon Spa. 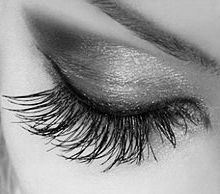 Credo Salon offers eyelash extensions in Woodbury. Eyelash extensions are semi-permanent, individual lash extensions. Everyone wants longer lashes. Long lashes make your eyes look larger and bring out the color of your eyes. Most of us use mascara daily, but it‘s a hassle and leaves smudge and clumps, and no matter how waterproof it claims to be, it always leaves dark circles under your eyes that accumulate every time you blink. False lashes are difficult to apply and usually wind up looking fake. Lash extensions applied by a professional are the most realistic-looking and beautiful lashes you can get. If you’re looking for eyelash extensions in Woodbury MN, Credo salon can help. It only takes 90 minutes for a full set of lashes to be applied; refills take about an hour. Eyelash extensions should last about two months, depending on the natural growth and shedding process of your lashes. In addition to eyelash extensions Woodbury residents can count on Credo for other salon services as well. Credo offers complete hair, nail, skin, waxing and makeup services. We use products by top beauty companies including Schwarzkopf, Moroccan Oil, SkinCeuticals, Pevonia, Jane Iredale, CND, OPI and label.m. This entry was posted in Eyelash Extensions, Eyelash Extensions Woodbury, Salon Services, Salon-Spa Stillwater, Spa Services and tagged Moroccan Oil, Schwarzkopf, SkinCeuticals on October 17, 2013 by Credo Salon Spa. Treat yourself at Credo Salon Spa Stillwater to a day of pampering in a tranquil environment. Credo Salon Spa Stillwater MN is both a salon and spa, which offers a variety of relaxing spa treatments, haircuts and styling, makeup application and much more, guaranteed to leave you feeling refreshed and looking your best. Credo means “I believe” in Latin and Credo Salon Spa Stillwater believes in listening to clients, that creativity breeds perfection and everyone possesses unique beauty. Credo Salon Spa Stillwater has friendly, trained professionals on staff to service your hair needs on every level. From cuts to color, stylists work closely with clients to ensure their happiness with the final product and will return to Credo for future visits. 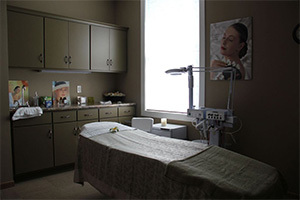 Credo Spa Stillwater MN offers a menu of various types of facials and peels, catering to all age groups, from teens to adults. The facials available treat all different skin types, so it’s easy to find face care that fits your personal needs. The Credo Signature Facial is a popular choice for clients of all types of skin. Manicures, pedicures and waxing are all available treatments at this Salon Spa in Stillwater MN. Relax with an exfoliating and moisturizing spa manicure and pedicure. Nail technicians at Credo Spa Stillwater MN use the latest nail products on the market, including the no-chip Shellac polish. Waxing services are offered for eyebrows, facial hair and the bikini area. Brazilian waxing is a specialty of the aestheticians at Credo. Makeup artists are on staff to get you ready for that special party or evening out. For an extra glamorous look, the makeup artist can add eyelash extensions. The Spa in Stillwater MN offers discounts on many of their salon and spa offerings and gift cards for special occasions. 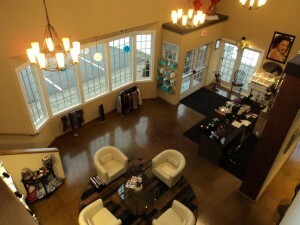 Please visit www.credosalonspa.com for details or call 651-351-5173. This entry was posted in Salon-Spa Stillwater, Spa Services and tagged aestheticians, brazilian waxing, facial on October 7, 2013 by Credo Salon Spa. If you are looking for Brazilian Waxing in Stillwater, MN look no further than Credo Salon Spa. Brazilian waxing is one of the best ways to remove unwanted hair for a great majority of women. A Brazilian wax is different than a regular bikini wax because a Brazilian removes hair from the front, back, and everything in between. Brazilian waxing removes hairs from the root which leaves the skin smooth, stubble-free, and makes the hair take weeks to grow back. Waxing allows women to be more self-assured in their swimwear. You can dress in a two-piece bikini and flaunt your human body at the seaside, without having concerns of ugly hair around your bikini line. This entry was posted in Brazilian Waxing Stillwater, Salon-Spa Stillwater, Spa Services, Waxing Services on September 5, 2013 by Credo Salon Spa.